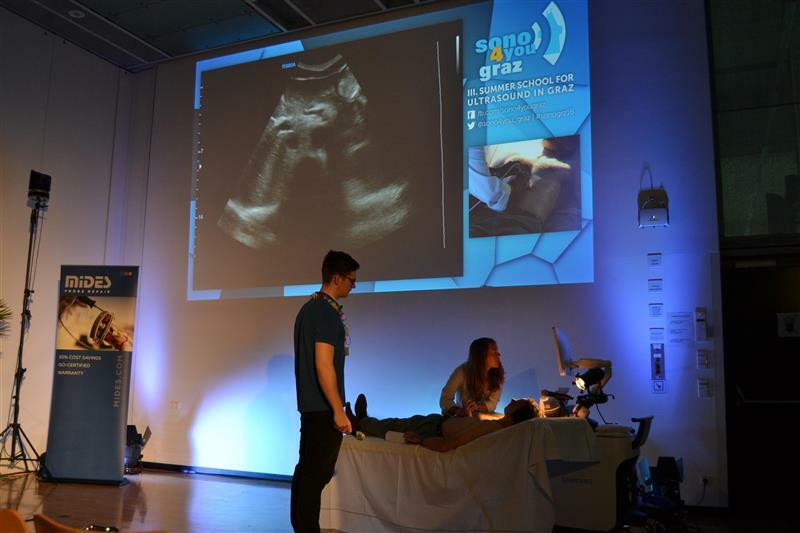 Graz, 12 October 2016 – There’s no summer break for the Styrian ultrasound-specialist MIDES and the students of the medical university Graz when it comes to echoing: Around 60 prospective doctors took part at this year’s „summer school for ultrasound“ from 23 to 26 September 2016 in Graz. 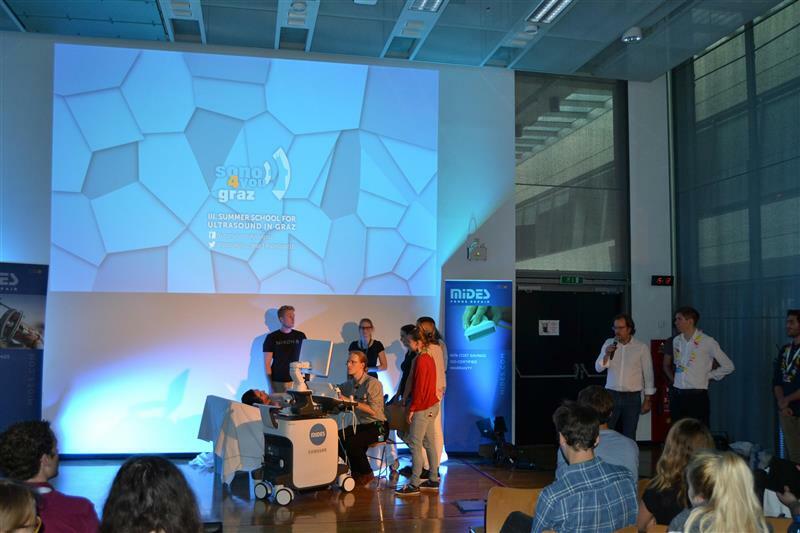 The educational event is organized by the student initiative Sono4You, who was once again supported with ultrasound-devices and technical assistance from MIDES. A total of 15 ultrasound-devices from well-known manufacturer like Philips, GE and Samsung enabled the students to improve their sonography-skills and made it possible to use the learned knowledge from the theory lessons right away. “It’s important to offer as many different ultrasound-devices as possible – because that’s a situation young doctors will face in practice”, explains Alexander Dutzi, MIDES Director Sales & Service Ultrasound. During the practical lessons MIDES-experts performed on-site assistance to help with adjustments and technical questions. 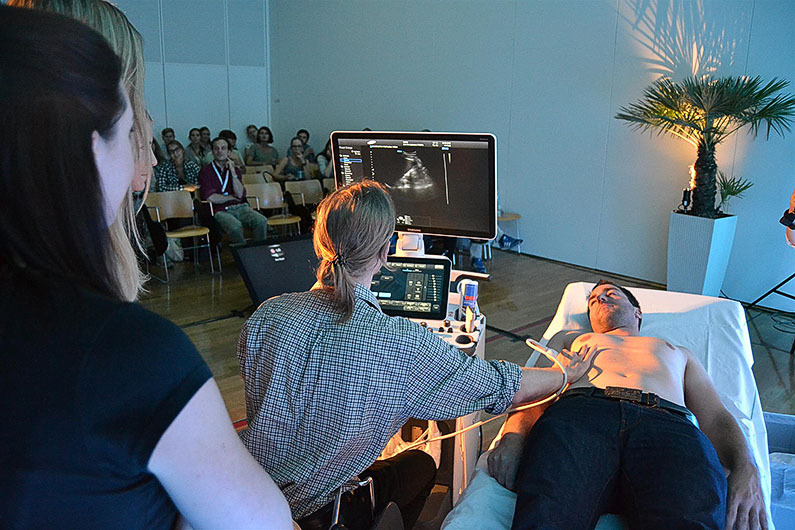 Which significant effect ultrasound-devices and -probes have regarding the image quality was shown very well in the anatomy lessons of the summer school. The more qualitative the device, the better the echo result, was the unanimously tenor. That’s why MIDES also made it possible to work on two high-end-devices. 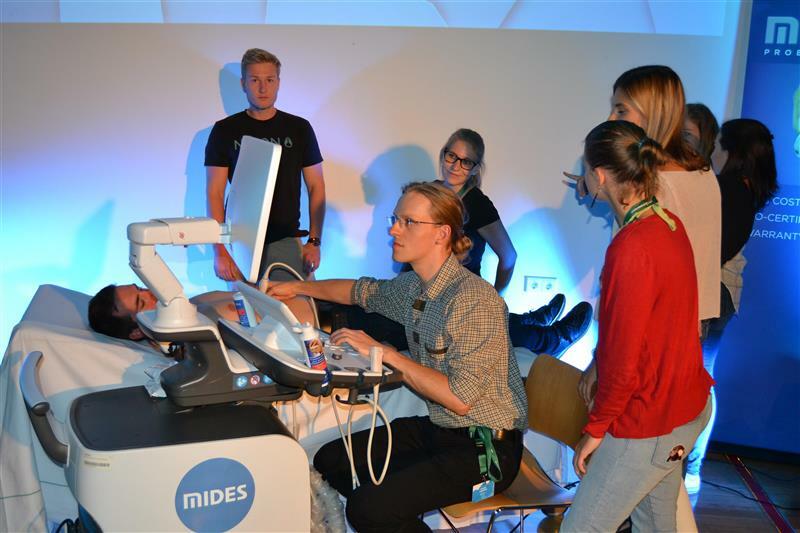 “It’s not just our responsibility to provide doctors with the best ultrasound-devices, but also to introduce young prospective medical experts to the correct handling of it”, concludes Alexander Dutzi in the name of MIDES. All videos of the summer school livestream can be watched on demand on YouTube.